If you've walked through Boston today, chances are that at some point you walked over one of Boston's formerly prominent bodies of water. 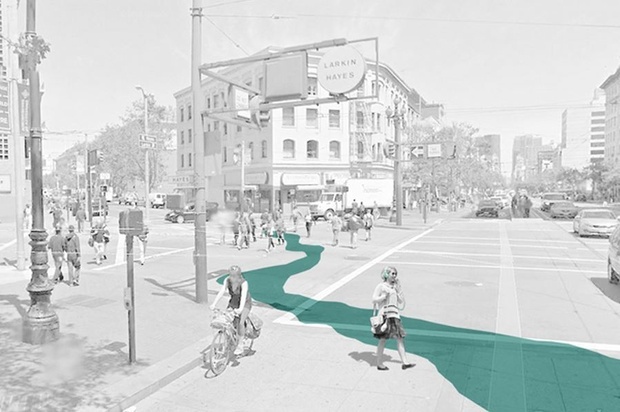 You may even be sitting on a body of water right now. Reading this in a coffee shop in the South End or Fort Point? 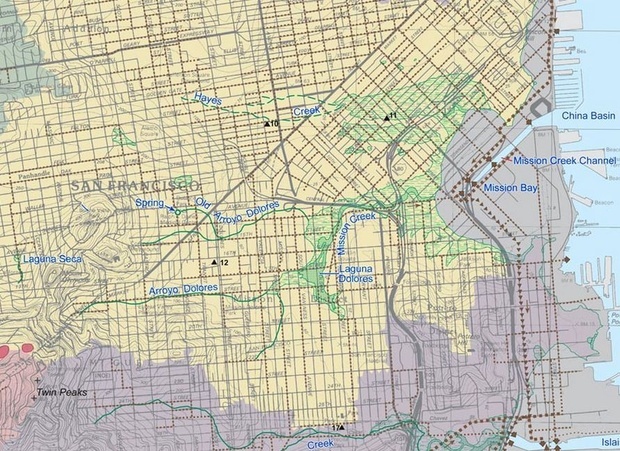 Both neighborhoods, as well as a number of others, are built upon former bodies of water filled in over the course of the 19th century. 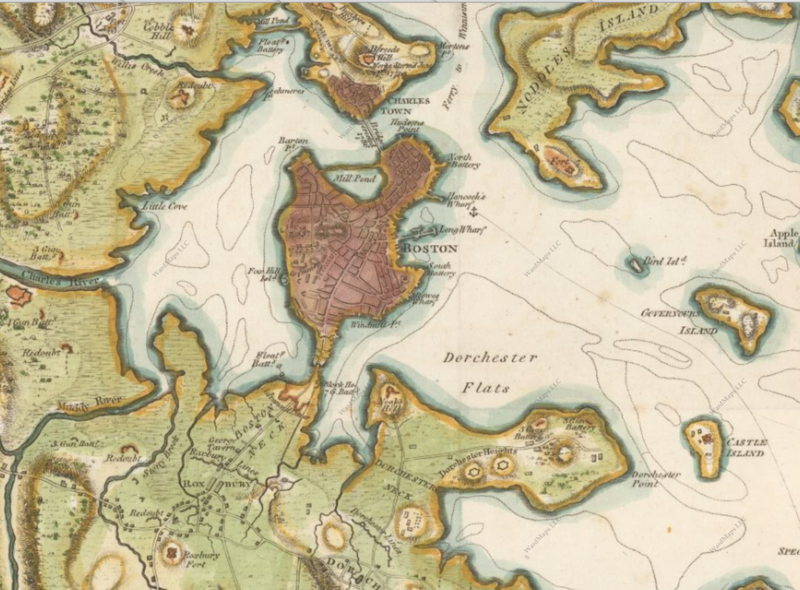 As Boston continued to grow, the surrounding water bodies were filled in. 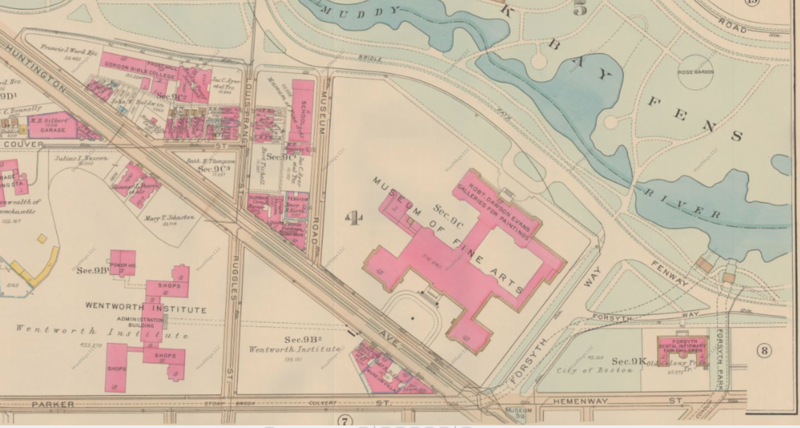 The bay directly west of downtown was filled beginning ADD TO ADD and became the Back Bay and the South End west of Washington Street. ADD SOUTH BOSTON/SOUTHIE/SOUTH BAY. ALSO WEST END AND MILL CREEK. 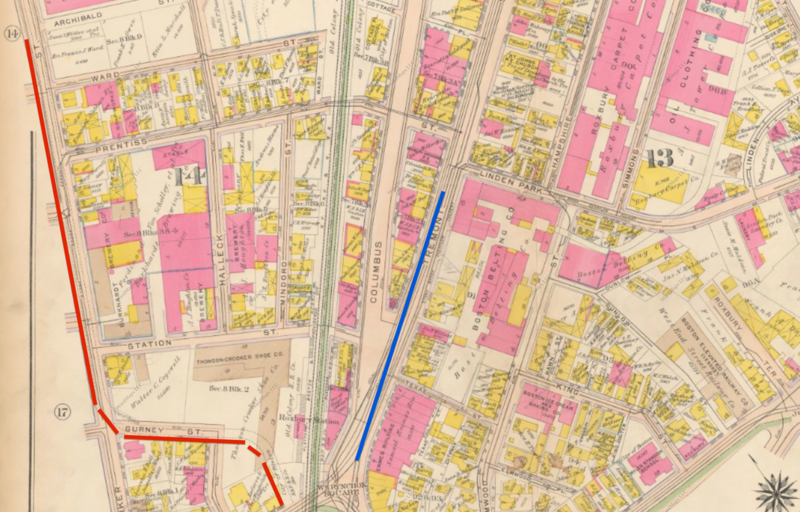 The Stony Brook Conduit extending from the Fens to Parker and Forsyth Streets by Northeastern University. Another view of the Stony Brook Culvert in Roxbury—one branch under Parker Street, and another extending through the present-day Northeastern campus, under the Southwest Corridor and further along Whittier Street by the present-day public housing project. Both culvert branches come together by Roxbury Crossing. 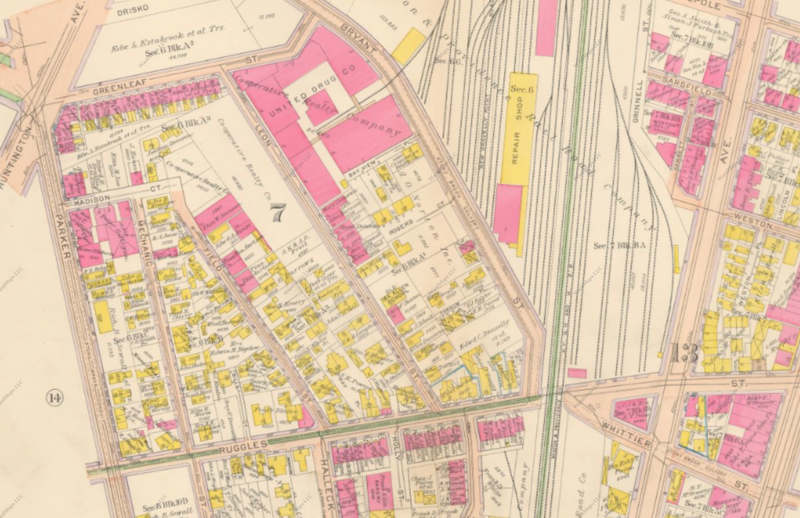 Note the large industrial presence along the culverts in this 1915 map. Millions of people walk above Boston's concealed waterways and bays daily, yet as of now there is no public display honoring DEVELOPMENT.